Let’s say that you’re a startup in need of £50K - £250K. Who do you turn to? You have a few options. The main ones are business angels, crowdfunding, loans, grants, accelerators, and possibly certain VC firms. In order to understand why entrepreneurs often turn to angels when faced with these options, you need to understand the time frame associated with each of them. Crowdfunding, while providing a lot of brand awareness and potential customers, can be very time consuming when it comes to preparing your campaign, as well as getting accepted onto a platform. Loans are subject to application and also heavily depend on the turnover of your business, which means that those who are just starting out may have a smaller chance of being approved. Grant applications have to be made by certain deadlines which usually occur quarterly, which might leave you waiting around for a few months. While accelerators are a great option, not all of them provide you with capital directly, but rather help in getting external funding. VC firms in turn have extremely rigorous criteria, and it is generally very difficult to get their attention without having acquired other types of funding first, or a significant traction. Angels on the other hand are a lot more open to investing in early-stage businesses. Their investment is not subject to application, and all you need to start you off is a pitch deck. They can also offer significant expertise and connections to valuable networks, which can mean the difference between the success and failure of your business. So, you’ve decided that angels are the way to go… where should you look for them? Here are some platforms to get you going: Angel Investment Network, Startup Funding Club, Angel Co Fund, Angels Den, SyndicateRoom, Envestors or Associations like UKBAA, LBA which became a part of Newable, and others. Also, don’t forget social media sites like LinkedIn or Twitter, which can be a great way to directly approach a prospective investor. The other key thing of course, is networking the good old fashioned way, so check out if there are any events in your area where you can meet angel investors! There are a variety of traits which you need to take into consideration when choosing which angels to approach. It may be tempting, especially at the early stages of business, to take any money which is offered to you, but if an angel is not a good match for your business, this can ultimately do more harm than good. First and foremost, has the angel got relevant experience in your industry? Maybe they have entrepreneurial experience under their belt and have ran and exited a similar business in the past? Or maybe they have invested in numerous businesses within your field and have built up relevant knowledge? It is absolutely essential that you carry out due diligence on every investor before you approach them, and understand what they can bring into your business besides capital. When you start speaking to potential investors, you’ll want to ask questions about their most recent investments, their expectation of CEOs and how involved do they like to be in the company, among other things. All of these questions can help you evaluate whether you and the investor are aligned and if it would potentially be a good partnership over the long haul. Speak to their previous investees if possible, and try to be specific with your questions. Don’t only ask, ‘Do you like them? Are they nice?’ Instead ask, ‘Do they allow you to experiment and fail? Or do they only care about meeting targets and panic when you veer off course? How do they react when things don’t work out as planned?’ Essentially, you want an investor who won’t be an obstacle to your entrepreneurial risk-taking, and who understands the ups and downs of early-stage businesses. – Less is always more. Ensure that your presentation isn't too wordy. – Never hypothesise. Inspire confidence with facts, not fiction. – Avoid being excessive. Budget wisely to show you are fiscally responsible. – Demonstrate a sustainable step-and-repeat business model that is poised for exponential growth. – Practice and be confident. Show confidence in your product to receive confidence from investors. Make sure that your investment presentation (often referred to as a pitch deck) includes mention of the problem you are addressing, the solution you are offering, your market and competition, as well as a breakdown of the specifics of your product. The key here is to clearly outline what makes your company different. If you can demonstrate significant industry expertise, with a hardworking and reliable team in place, and an ability to deliver, you will be far more likely to allure a potential angel investor to your business. Valuation is another aspect you have to consider – investors always prefer founders to be reasonable in this respect; they aren’t interested in unrealistic predictions. You only have one chance to make a good first impression, so make sure that your pitch deck meets the investor’s expectations. An estimated £1.5bn per annum is invested by angels annually in the UK. This is more than 3x the amount of venture capital invested in early-stage businesses, and it gives you an idea of just how active angels are. Clearly there is a lot of capital available to entrepreneurs, and we hope that our tips will have brought some clarity into what you need to do to secure it! 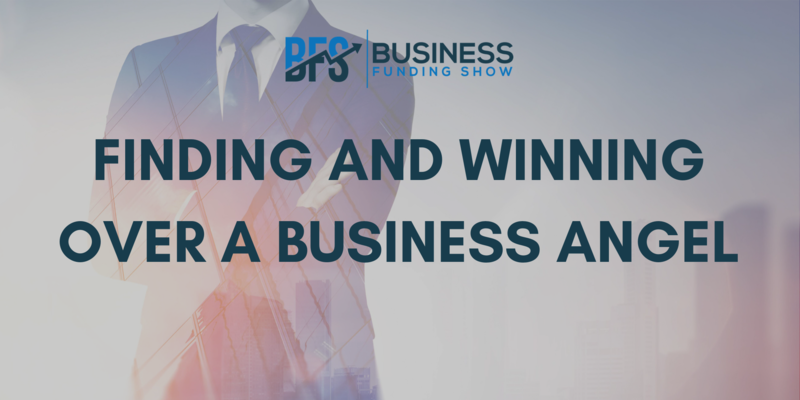 Want to meet leading business angel network representatives and receive guidance on how to secure an angel investment from the industry experts? Come to our ‘Evening with Angels’, which takes place at 18:00 on the 2nd of October at WeWork Aldwych. Secure your tickets here.